Ahmad came to Brazil through the country's special Syria humanitarian visa program. 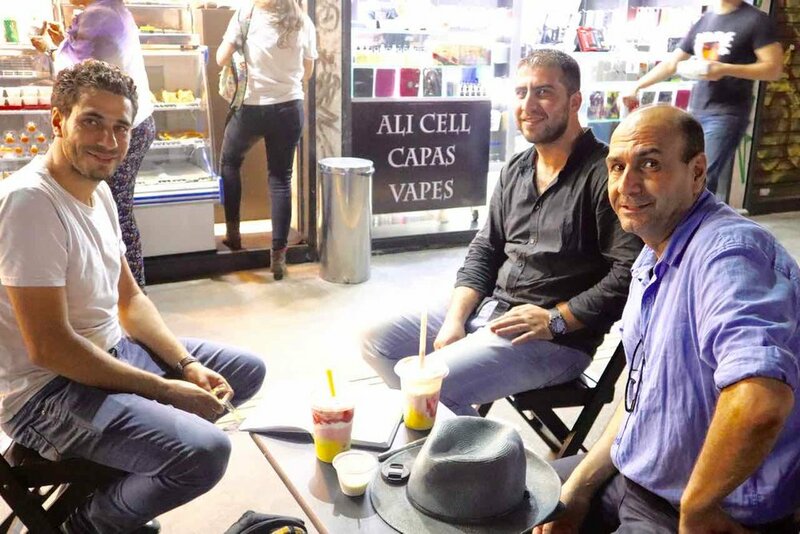 He's now settled in São Paulo with his family and has a string of successful restaurants, including this popular eatery selling delicious Shawarma and Syrian deserts. Since 2013 Brazil has run a unique humanitarian program to make it easier for Syrian refugees to seek asylum. São Paulo is home to thousands of Syrian refugees who started arriving after 2011, and has a strong Syrian-Brazilian community dating back 120 years. Most of the refugees came through Brazil’s special visa program which allows Syrian refugees to go to a Brazilian embassy overseas and declare that they would like to seek asylum in Brazil. Then they’re given a tourist visa, allowing them safe and legal passage to Brazil. They can then work legally and access all basic public services when they arrive in Brazil. It’s a simple and great idea. And the Australian Human Rights Commission has previously suggested Australia might consider it inspiration. By creating a legal channel, this approach effectively renders people smugglers irrelevant. Why would anyone pay a people smuggler heaps of money to take them on a dangerous boat if they could just pay for a plane ticket and come legally on a tourist visa? 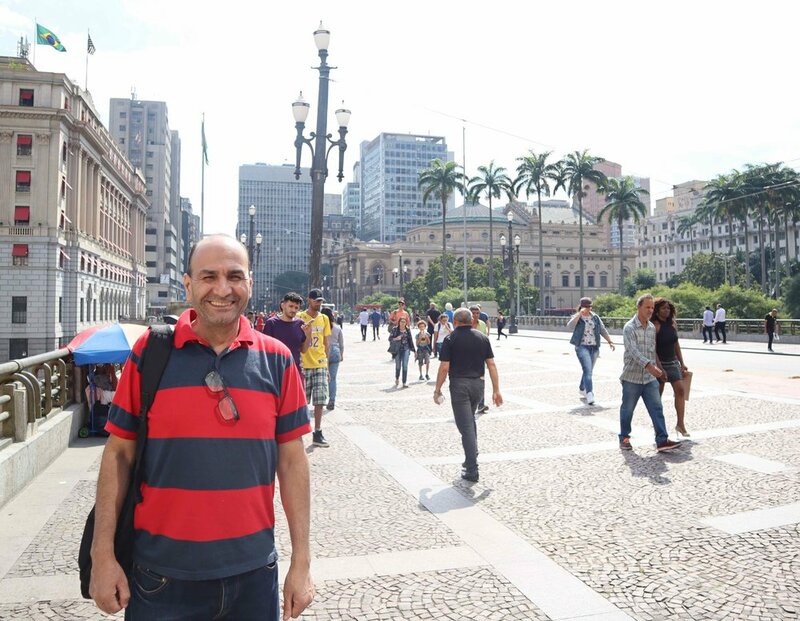 Dr Ahmad Serieh is a renowned Syrian archeologist and museum director who now lives in São Paulo and helps Syrian newcomers to learn Portuguese and settle into Brazilian life. So I spent the afternoon with Dr Ahmad Serieh, a Syrian archaeologist now living in São Paulo and working as Portuguese teacher at Bibliaspa, an awesome grassroots refugee organisation. Together with Ahamd I met a number of young Syrian refugees who came to São Paulo through this program. I heard very different stories. 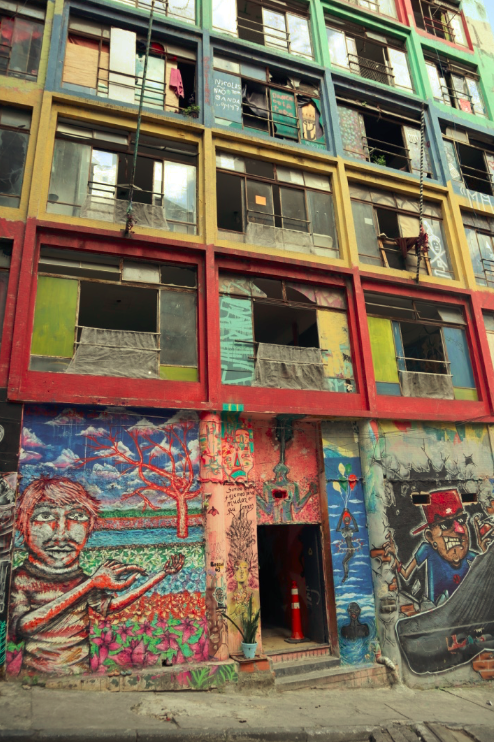 Abandoned building providing some shelter to homeless people in São Paulo. Housing is a major issue for Brazilians and refugees alike. There was Mohammad*, a Syrian IT professional who fled Syria to Lebanon and then to Brazil two years ago. When he arrived he didn’t speak a word of Portuguese and he couldn’t find work in IT. But he didn’t miss a beat. He started working at a friend’s phone repair shop, and after a year started his own phone repair business. He now employs other Syrian refugees in the shop (including engineers and other professionals who also couldn’t find work in their fields in Brazil). It’s not a cake walk, but he’s happy to be in Brazil. Then Omar*, who graduated from Damascus University as a lawyer before fleeing to Brazil to avoid military conscription. Omar praised the Brazilian people as ‘the best people in the world’ (he said they’re welcoming and not racist!). But he also feels the system in Brazil is exploiting refugees. While refugees have access to a basic social safety net (free healthcare, schooling etc), the employment situation is very challenging, housing is expensive and there is very little support. He said when refugees are exploited by employers and landlords they are powerless to stop it, and often people slip through the cracks. Enjoying dinner at one of Ahmad's shawarma restaurants in São Paulo. He’s now killing it. He owns three restaurants, employs six other Syrian refugees (and four Brazilian staff too). His Syrian partner is happy too, and they’re excited to have a baby on the way. He could not be more grateful - ‘Brazil is the best country’. It seems Brazil opens the door to refugees, but after that you’re on your own. Brazil’s special humanitarian visa pathway for Syrians does not include a tailored orientation or assistance program to help people settle in. For the most part it’s up to the refugee themselves, and any friends, family or community they already have in Brazil, and grassroots community organisations to help them find housing, learn the language and get a job. Fortunately for Syrians there is a very large Syrian community here who are very supportive. But I guess it’s not surprising that some people struggle, while others thrive. I think it's better for Brazil to open the door even if the assistance is suboptimal. If all countries did the same we wouldn’t have refugees dying horrible deaths in transit. But in an ideal world, Brazil would do more to help newcomers. And it’s also worth keeping in mind that even in Australia, where refugees to receive tailored government support, there are still major barriers stopping them from finding meaningful work (see Centre for Policy Development work on that). One thing that niggles me about the program is it’s exclusivity. It is only open to Syrians (although Brazil also has similar humanitarian programs for Venezuelans and Haitians too). It could be seen as discriminatory on this basis. However, this does make it a flexible tool for targeting refugee populations that need an immediate solution - so I think it’s ok. I also wonder whether the program will survive the current political turmoil in Brazil, and signs of rising backlash against refugees and immigrants. Already the program has been tightened up, with refugees being asked to prove they have substantial funds in their bank account before securing the visa, and longer visa processing delays than in the past. So they are things to watch. Could Australia adopt this approach? Australia should consider applying this targeted humanitarian pathway as a way of opening up safe and legal routs for asylum seekers. Australia could, for example, create a program like this for Rohingya refugees who have faced horrific persecution and been made stateless by the Myanmar Government. Australian Embassies in Asia (particularly Bangladesh) could start accepting applications from Rohingya refugees for tourist visas, where they meet certain criteria. The refugees would arrange their own travel (like they would if they came via irregular means) and once they arrive they would have to start an official asylum process. The Australian community would need to rally around them to support, as I know we would.